Julie A. Stockton | Littler Mendelson P.C. Julie A. Stockton enjoys working with clients to tailor effective and efficient solutions for their specific legal needs. Julie represents clients in both single plaintiff and class action matters, where she is experienced handling all phases of litigation, including trial and appeal in both state and federal courts. 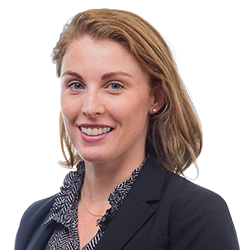 Julie counsels clients on a variety of workplace privacy issues, including data security policies and incident response, and text and email communication practices. In addition to her advice and counsel practice, Julie has litigated related issues on behalf of Fortune 500 companies. Julie is committed to dedicating a portion of her practice to pro bono legal services and received the California State Bar Wiley W. Manuel Certificate for her pro bono legal services in 2015 and 2016.